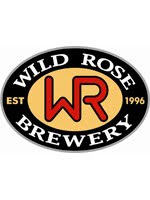 Wild Rose Brewery, Alberta’s local craft brewery, is proud to announce their 15th Anniversary Celebration Party, to be held Tuesday September 20, 2011 at Wild Rose Brewery & Taproom. The event will feature the limited release of four handcrafted Anniversary Ales available on tap for one day only, while supplies last. The four Anniversary Ales will be released throughout the day, with the first brew tapped at 11:00am MST. Wild Rose Brewery & Taproom Executive Chef Geoff Heath-Smith will create fall harvest inspired features to compliment the limited release brews.